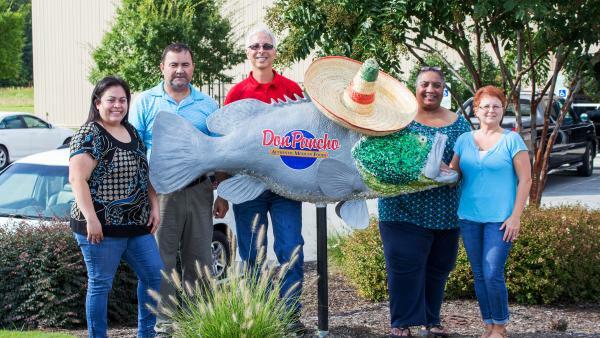 Don Pancho is a state-of-the art manufacturing plant, located in Halifax County. They processes some of the best Mexican food products available. Since 1979, under the leadership of the Puentes family, Don Pancho has taken pride in producing the finest salsas, spices, flour and corn tortillas, from recipes that have been handed down for generations. Don Pancho manufactures and distributes products that are used in both restaurants and supermarkets throughout the United States. Their local processing plant was established in Halifax, NC in 2010 and now employs over 180 employees. A recent addition to the Roanoke Valley Rocks program, has a Mexican theme and even wears a sombrero!